What ties do we have with other churches? What causes do we support? Adoration has formal ties with over 3,000 churches in North America and provides financial support to over 20 outreach and service partners. In addition, our members volunteer their time with a broad range of local organizations in order to love our neighbours and demonstrate the life-changing power of the Christian gospel in the hearts and lives of ordinary people. Membership in a federation of churches is a privilege and blessing that provides us with structures of accountability, support, and mutual encouragement. We have committed to a confession of faith that is shared by many others and we seek unity within the universal (worldwide) church through various federative unions. Broadly speaking, we recognize and give thanks for the work of the Holy Spirit in bringing together communities of faith around the world. We embrace those who confess that we are saved by faith alone in Christ alone. This embrace comes to particular expression in our federational unity in the United Reformed Churches in North America and in our membership in the North American Presbyterian & Reformed Council (learn more about the URCNA here). Adoration supports a large number of Christian organizations that are devoted to the proclamation of the gospel, the training of believers throughout the world, and the mercy ministries which care for the needs of many in this world. We encourage you to explore these causes. Adoration Christian Center | Adoration Christian Centre is an holistic, Christian, social mission serving and discipling Haitians in Port-au-Prince through our school, partnerships with the local church, and a medical clinic. Anchor Association | The Anchor Association serves adults with a developmental disability. At this moment we serve 28 residents who reside in 4 group homes in southern Ontario. EduDeo Ministries | EduDeo Ministries is a Canadian, Christian, mission organization serving children in developing countries with quality education rooted in a Biblical worldview. 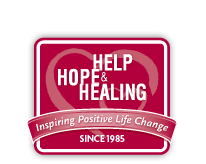 Elisha House | Elisha House offers pre and post-natal care for mothers in the Welland area and also offers biblical counselling services to men, women, and children in the community. They also offer specific courses on anxiety, depression, peacemaking, and other topics of Christian living. Hope Centre | The Hope Centre is a mission work in Toronto among a number of immigrant communities under the ministry of Rev. Tony Zekveld and Peter Nathaniel. New Horizon Reformed Church | New Horizon Reformed Church in Scarborough (Toronto) is a church plant of mixed ethnic and Canadian Christians adhering to the historic Reformed Protestant faith. Farel Reformed Theological Seminary | Farel Reformed Theological Seminary is a bilingual Protestant institute of theological and pastoral training in Montreal, Quebec. If offers academic preparation for pastors and other members of the Christian church, in order that all might be equipped to begin new churches, to serve existing churches, and to further general Christian mission. London Reformed Student Ministry | This ministry occurs on the campus of Western University in London, ON and is focused on addressing the needs of students in the London area. Niagara Migrant Ministry | This ministry is a joint venture of the Heritage Reformed, United Reformed and Free Reformed churches. We employ a full-time year-round missionary worker (Wilfred Bout) to minister to Spanish speaking off-shore workers who have come from Guatamala as well as Mexico to work in this area. 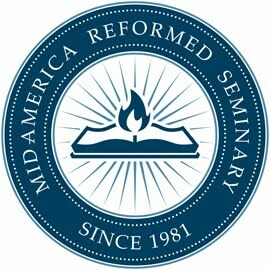 Mid-America Reformed Seminary | Mid-America is a seminary located in Dyer, Indiana with a mission to prepare pastors as faithful servants of the Word and sacrament in the heritage of Reformed and Presbyterian Churches. Heritage Christian School | Heritage is a Christian school located in Jordan, Ontario that is engaged in K-12 Primary & Secondary schooling. Niagara Life Centre | The Niagara Life Centre is a Christian-based counseling ministry, providing aid for individuals experiencing life crises, including marriage and family breakdown, depression, grief, anger, co-dependency, unplanned pregnancy, parenting and post-abortion trauma. Ontario Christian Gleaners | The Ontario Christian Gleaners collect and process surplus food for distribution throughout the developing world. The processing plant is located in Cambridge, Ontario. Église Réformée du Québec | The Église Réformée du Québec (ERQ) is a Reformed denomination of French-speaking churches in Quebec. Redemption Prison Ministry | Redemption Prison Ministry, originally known as Cornerstone Bible Institute, began in 1996 in southern Ontario, by a few dedicated people with a vision for serving those who are incarcerated. Our Bible correspondence program was launched and inmates across Canada complete the correspondence courses to receive instruction in the Scriptures and the Christian faith. Reformed Faith and Life | “Foi et Vie Réformées” is a Reformed radio broadcast ministry in French, bringing the light of the Christian Gospel to French speaking men and women in various parts of the world (especially Africa). Shalom Manor | Shalom Manor is a Christian home for seniors located in Grimsby, Ontario. Streetlight Ministries | Streetlight is a ministry in Hamilton, Ontario that serves community members in the downtown. The Bible League | Bible League Canada provides Scriptures and training worldwide, so people will be brought into relationship with Jesus Christ and His Church. Word & Deed | Word & Deed is an international relief and development ministry that sponsors and provides guidance to projects throughout the world.